Tips for Choosing a Warehouse for Rent | Affiliated Warehouse Companies Inc.
Posted August 7, 2018 & filed under Warehousing Tips. 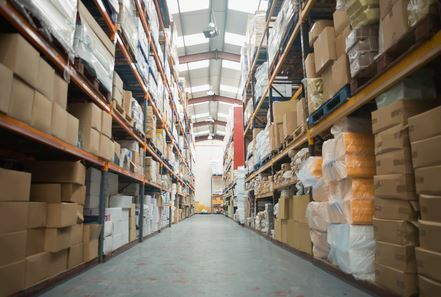 Are you in the process of trying to pick out a warehouse for your business? Whether you want a small warehouse for your small business or a large warehouse capable of storing all the inventory your large company has in stock, there are several things you should consider prior to renting a warehouse. Here are some helpful tips for choosing the right warehouse to rent. Find an easily accessible warehouse with enough parking outside. Location is key when it comes to any kind of real estate, and that goes for warehouses, too. If your warehouse is off the beaten path and difficult to find or if it doesn’t have many parking spots outside, you’re going to make life more difficult than it has to be on shipping companies and your employees. Ideally, you want to make it as easy as possible for people to pick up and drop off shipments. Otherwise, transportation is going to become a big concern for you before long. Carefully check the condition of a warehouse’s flooring and roofing. The flooring inside of a warehouse is of the utmost importance. If it’s cracking or showing signs of severe wear and tear, you could have a problem on your hands once you move in. That goes for roofing as well. If you spot any signs of roofing leaks, you should look for a warehouse elsewhere. The last thing you want to do is sustain damage to inventory or expensive equipment due to a leaky roof. Consider the costs associated with renting a warehouse. At the end of the day, you need to create a budget for your warehouse and refuse to go above and beyond it. You don’t want to pay too much for your warehouse every month and hurt your bottom line. Even if a warehouse is situated in the best location possible with all the amenities you could ever ask for, paying too much for rent will hurt your bottom line. Picking out the right warehouse for rent can be a challenge. Affiliated Warehouse Companies can make it easier on you by showing you great warehouses in your location and, more importantly, in your price range. Call us at 732-739-2323 today to start your warehouse search.